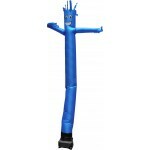 Air Inflated Dancers are an effective inflatable promotional tool that can be used in the same manner as banners and feather flags to attract attention to your business. 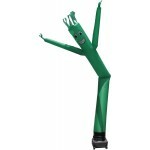 These dancing tube man dancers are manufactured from rip-stop nylon with a silicone coating that is sewn together into a tube with high-tensile-strength polyester thread that is double stitched on the ends for maximum durability. The inflatable sky dancers attach to a blower via Velcro. Once the blower is turned one, there is no other promotional tool quite like these, with there wacky, waving motion dancing in the wind to drive attention to your location, attracting new business and sales in the process. The air inflatable dancing sky puppets that we carry are a derivative of a product that was invented for use as part of the opening ceremonies at the 1996 Olympics in Atlanta, Goergia. These giant humanoid sky puppets were designed to mimic fabric dancing puppets which are often used as part of celebrations in the Caribbean. 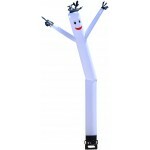 Since then, these inflatable dancers have evolved and been refined to be used as an attention-getting advertising tool in the form that we carry today. 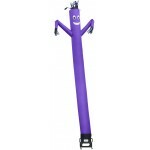 To prolong the life-span of these air dancers, we recommend bringing them inside during very windy days. It is absolutely necessary to bring them inside during rainy and snowy days as water can damage the electrical components of the blower. We also advise you to keep this inflatable at least 20 feet away from the road to avoid any problems of it falling or interfering with traffic. 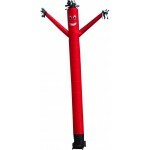 We offer these dynamic inflatable dancers in 10 different eye-catching colors. These are a great item whether your company is looking to announce a grand opening, a sale, special promotion or if you are just looking to get your business noticed! 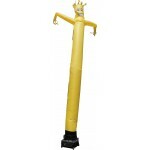 These 20 ft. tall inflatable wind dancers are the most popular size on the market. These sky puppets are available for immediate shipment in an array of bright and vibrant colors. 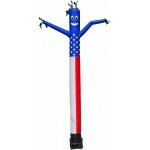 Whether you operate a car wash, auto detailing shop, gas station, or car dealership, these large inflatables are sure to attract the attention you are looking for. 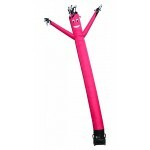 These air dancer blowers are the perfect choice for displaying our wacky inflatable dancers. 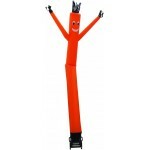 They provide the air flow needed to make your inflatable dude dance. 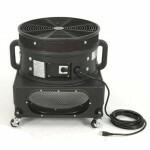 Once you own the blower, it is simple and easy replace the dancer attachment whenever it wears out. Capturing the attention of prospective customers is one of the key objectives in marketing your business. When a prospective customer drives, walks, or bikes past your business, you have only a few seconds to capture their attention. These people likely pass by your business everyday and are conditioned to block you out. Air dancers work by breaking people out of this conditioning by quite simply being impossible to miss. 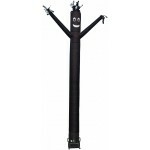 The large size and wacky waving motion will capture the attention of even the most hardened individuals. Once they give your business a look, you have the opportunity to draw them in through the use of other signage and displays which articulate what products or services you offer.